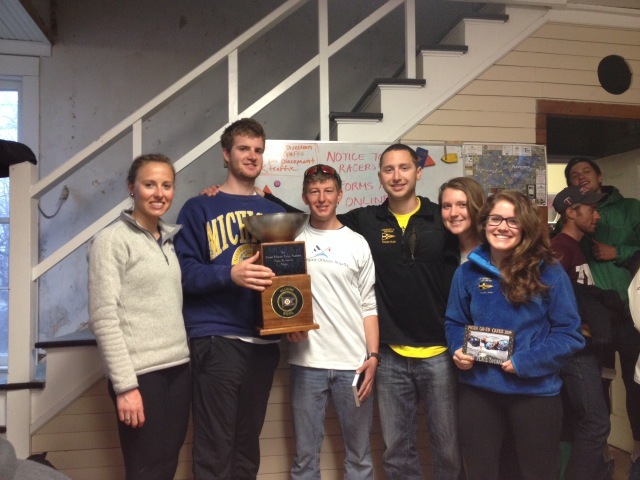 Sarah Sloan checks in from the tail end of the University of Michigan Sailing Team’s season. You learn a lot about your teammates during car rides. Over the course of a season, you discover who is willing to take the graveyard shift, who likes the backseat, who has the smallest bladder, and who can actually ignore a car full of people talking about the effect windshield wipers and wind have on the flow pattern of rain over windows to study for exams. University of Michigan sailors are very familiar with long car rides, as they travel to the east coast for regattas nearly every weekend during the spring and fall. 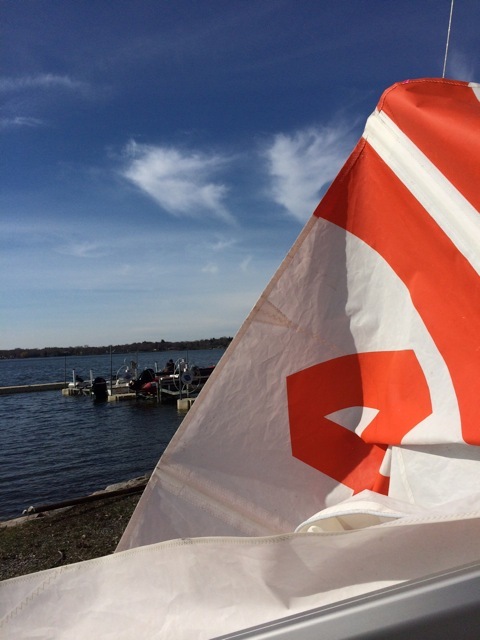 But last weekend, six Michigan sailors (Alex Ramos, Ryan Seago, Karinne Smolenyak, Liz Wallace, Will Cyr, and Sarah Sloan) packed up and headed the opposite direction to Minnesota for the MCSA Coed Qualifiers at Wayzata Bay on Lake Minnetonka. The great thing about the Midwest is that everywhere reminds you of home, because over the course of an eleven-hour drive the scenery rarely diverges from the fields and rolling hills characteristic of middle America. The “Land of 10,000 Lakes” lived up to its name, however, and the sailors traveling from Ann Arbor felt the familiar twinge of jealousy that accompanies sailing on a lake in a school’s backyard, as opposed to the half-hour drive that we Wolverines deal with daily. The feeling only intensified upon seeing the University of Minnesota’s beautiful, fresh-off-the-trailer Z420s, and caused Michigan team members to fantasize about one shining day, just $39,000 from today when we, too, will host regattas with a brand new fleet of boats (hint…donate here). Sailing on inland lakes keeps even the best skippers and crews perpetually on their toes, as puffs and shifts can come from seemingly nowhere and completely change the outcome of a race. The wind increased throughout the day from averaging ten mph to “hike-as–hard-as-you-can-as-long-as-you-can-or-face-the-wrath-of-your-skipper” speeds. Eight extremely close, extremely competitive races were completed within each division, and at the end of the first day the University of Michigan was in first by three points, followed closely by the University of Minnesota and the University of Wisconsin, who were separated by a single point. Racing was cancelled on Sunday due to a torrential downpour turned thunderstorm. Despite having lost the opportunity to potentially change the final standings, the sense of camaraderie between teams was tangible as everyone waited in the boathouse for the award ceremony. MCSA sailors excel at leaving it all on the water; there are very few other organizations in college sports where eight teams will collectively sing Happy Birthday to an opponent, and even your fiercest rival on the water will put that aside once on shore to tell you they like your Sperrys or Patagonia pullover. Every sailor begins the weekend wanting to sail their best races, and every team wants to win, but last weekend’s top spot went to our team at the University of Michigan, who added another first-place finish to a season that included MCSA Match Race and Team Race victories. With exams wrapping up at the end of the week, team members will shift their focus toward College Sailing’s Nationals, where they, along with the other four teams from the MCSA who qualified, will attempt to prove to teams from the east and west coast that freshwater sailors can be just as fast.